The District Grand Lodge of Central South Africa was originally called The District Grand Lodge of the Transvaal. 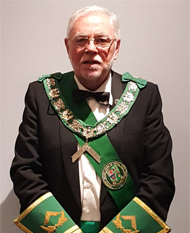 It was founded in 1896 as the considerable distances and poor communications between the various Lodges made it apparent that closer and more formal links were required. 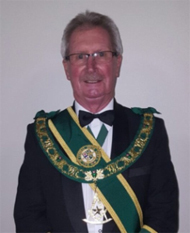 The obvious route was to form a District Grand Lodge and so the necessary steps were taken. 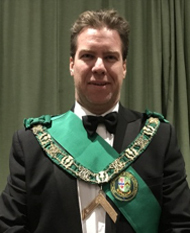 The first District Grand Master was Bro. F. Douglas MacMillan. He was installed as District Grand Master in Johannesburg on Friday 27th March 1896.In 1946 the Orange Free State was incorporated into the District and in 1979 the Northern Cape was also incorporated into the District and became the District Grand Lodge of The Transvaal, Orange Free State and Northern Cape. 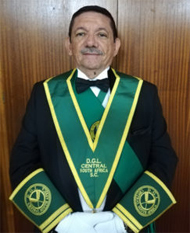 In 2004 it was finally decided that with the transformation which had occurred in the Country since the first democratic elections in South Africa that the District Grand Lodge should change its name to The District Grand Lodge of Central South Africa, so that the name would cover all of the regional name changes which had occurred and that geographically the name would describe the area which our District served. At present there are just under 50 Lodges active in the District. 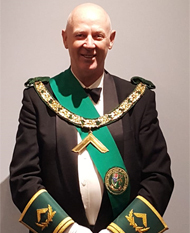 The current District Grand Master is Bro. 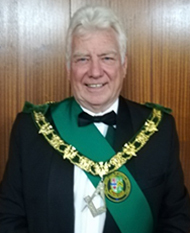 Jim Kerr, a Master Mason of Lodge Athol No.1442. He was Appointed in Oct 2016 and Installed in February 2017.